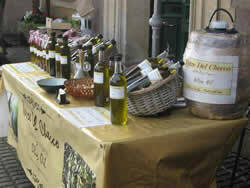 Terre Del Checco is a brand of organic olive oil produced in Sicily using traditional methods. Our olive oil has won already many plaudits and it has been appreciated for a unique, fruity and crisp flavour. 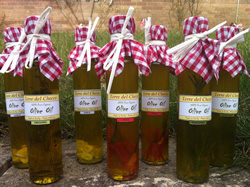 Terre Del Checco Olive Oil is a fine balanced olive oil with a distinctive fruity taste. It is created with a blend of olives to give a delicate taste with a smooth and velvety aftertaste. This entry was posted in SFM@Frome Independent, Speciality products. Bookmark the permalink. Both comments and trackbacks are currently closed.